I love creating flowers or arrangements off of the look and theme of the business. 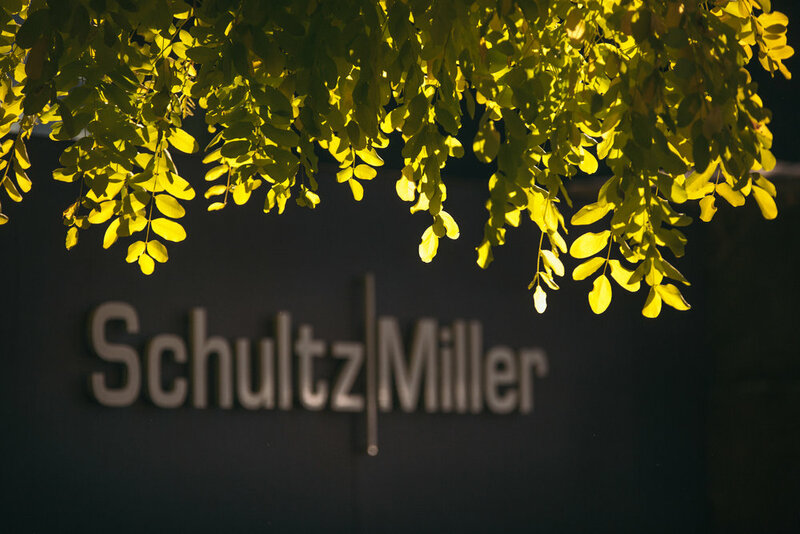 The guys of Schultz|Miller didn't want pretty flowing flowers for their open house this last Summer. They were having food trucks outside with cocktail tables and it didn't reflect the feel of their business. So with the help of their coordinator, Megan with Prive Events, we came up with a simple design of modern cement vases with succulents for outside. The entry arrangement was a little more eye catching having burgundy dahlias, succulents and greenery in a large cement container. Everything turned out gorgeous and even better, the guys kept saying how amazing it all came together with the flowers! I love that reaction!! !